The Invasion of Normandy is a fantastic nonfiction text appropriate for upper elementary and middle school readers. Starting with the first line of the text, “The English Channel was choked with British and US warships,” Donohue shares the story of the invasion of Normandy with great description and word choice, including vivid verbs and sensory details. The text is written in a way that makes it easy for 5th-8th graders to access the information. 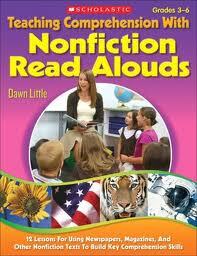 This is the type of nonfiction I look for to share with children. It is short and focused on the topic and is written in a “kid-friendly” way. You could pair this text with a more traditional, nonfiction text (text books, articles, etc.) about the invasion of Normandy, to give students a full, yet descriptive understanding of the topic. ©2017 by Dawn Little for My Learning Life. All Amazon links are affiliate links and may result in my receiving a small commission. This is at no additional cost to you.